On May 11 2016, the UN Secretary-General’s Envoy on Youth, Ahmad Alhendawi, addressed the Youth Session of 15th Session of the Permanent Forum on Indigenous Issues on the topic on self-harm and suicide. It is a pleasure and an honour to address you today at the Youth Session of the 15th Session of the UN Permanent Forum on Indigenous Issues. As the Secretary-General’s Envoy on Youth, I have the privilege of meeting with many youth groups from all around the world and bringing their voices to the United Nations. Last Sunday, I had the privilege of meeting with the members of the Global Indigenous Youth Caucus in preparation for this discussion. I was impressed by their creativity, diversity of ideas and of their energy. Last year, the Permanent Forum on Indigenous Issues requested that my Office pay special attention to a topic that is of great importance and affects many indigenous youth around the world. I am speaking of the issue of self-harm and suicide. So, first of all, let me highlight that we have a very strong international normative framework around the rights of indigenous children and youth. The UN Convention on the Rights of the Child covers the human rights situation of indigenous youth. It states that children and youth should live long lives, free from poverty and discrimination. They should receive good medical attention and they should be empowered to feel proud of their identity. The UN Declaration on the Rights of Indigenous Peoples also guarantees a set of rights and freedoms to indigenous youth, such as culturally appropriate education, decent labour, improvement of economic and social conditions, and protection against discrimination. 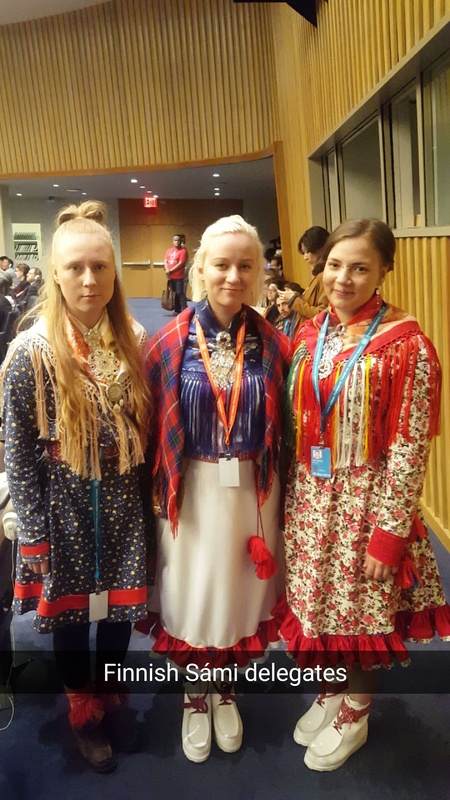 In 2014, following the World Conference on Indigenous Peoples, the Member States of the United Nations committed to supporting the empowerment of indigenous youth and their participation in decision-making processes. So, it is clear that we have a strong normative framework. In practice, however, large numbers of indigenous children and youth are unable to exercise and access these basic human rights. They continue to suffer from preventable diseases and lack of adequate medical care. 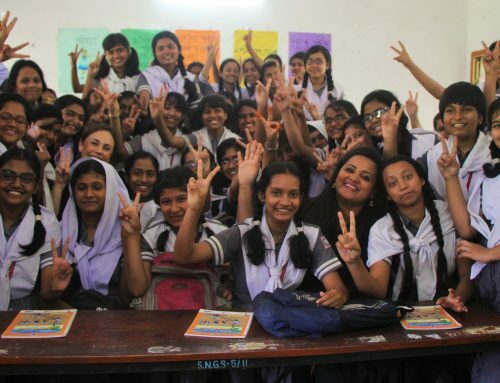 They have limited access to basic education, and to culturally appropriate education in their mother tongues. They do not always receive the necessary support from the local authorities when they try to stand up for their human rights. They are often made to feel ashamed of their identity. Indigenous peoples and youth worldwide continue to suffer from the intergenerational trauma of forced displacement and loss of homeland and property, assimilation, loss of language, culture and traditional knowledge and the disintegration of families. Such trauma can lead to desperation and hopelessness. Indeed some indigenous communities frequently see suicide rates that are significantly higher than among the general population. And you have to pause here and ask why this is the case? During my meeting with indigenous young people last Sunday and prior to that last year during the Permanent Forum’s session, I heard many cases from indigenous youth about their struggles: These included stories of socio-economic struggles, marginalization, discrimination, feelings associated with loss of culture, traditions and self-determination. Among Inuit youth in Canada, suicide rates are among the highest in the world, eleven-times the national average. The community of Attawapiskat in Northern Ontario declared a state of emergency after 11 people, mostly young people, tried to take their own lives on a single day in last month, bringing the total number of attempts to over 100 since last fall. In Australia, for young Aboriginal people aged 15 to 35 years, suicide is the leading cause of death – 30 per cent of deaths in this age group are reported as suicides. In New Zealand, in 2012, the Māori youth suicide rate was nearly three times that of the non-Māori youth. Last year, the Sami indigenous communities in Northern Europe reported that the growth of mental illness among their youth is in every sense highly critical. At the same time, the health institutions and health care services lack competence about the situation for these Sami young people. This means we need to define what would constitute a good or meaningful opportunity for indigenous youth. And to do so, we need to engage with indigenous youth and their representatives and communities. We need to listen to their voices and be sensitive to their concerns and priorities. We need to see indigenous youth not only for the challenges they are facing, but also for the incredible potential they offer. We need to see them not as a liability, but as an asset. The access to quality and culturally appropriate education is a major step to addressing youth self-harm and suicide. Young Indigenous peoples should not be are forced to choose between getting an education and maintaining their cultures. The loss of self-determination and the physical and emotional violence that is connected with the loss of cultures, lands, territories, languages and traditional livelihoods leads to strong rooted sense of hopelessness. 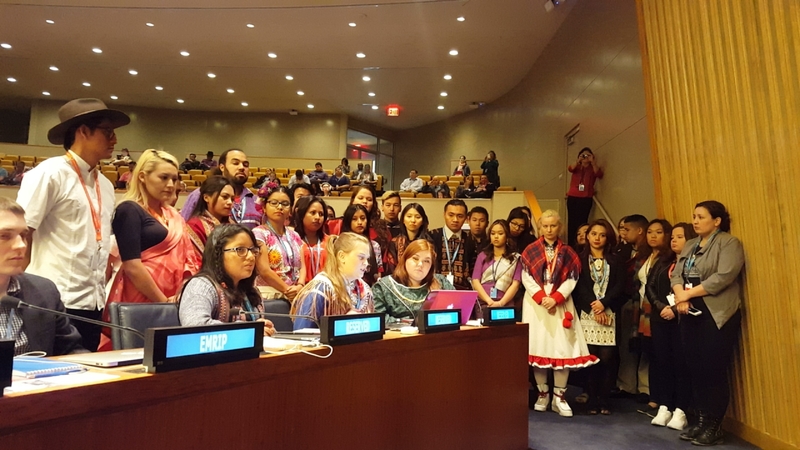 First of all, we need to make sure that young indigenous peoples have a voice not only in their communities but also at a global scale starting here at the UN. I am happy to have started the conversation with indigenous youth and look forward to engaging more on this issue going forward. Indigenous youth are powerful messengers of their communities and I commend them and will continue to support them to ensure they are empowered in bringing their diverse voices into the UN processes. Secondly, we look forward to working more with our partners from other UN agencies, including the World Health Organization and UNICEF, on strategies to tackle self-harm and suicide among indigenous young people. We need to collect best practices on suicide prevention, and share this information with others. I am pleased here to note that the Pan American Health Organization, one of the World Health Organization’s Regional arms, is organising an event on their experiences with tackling youth suicide in the Americas – this is a good step forward to start sharing best practices. Thirdly, we need to further expand our partnerships with the indigenous youth and tap into their knowledge and expertise. More young indigenous peoples are needed in the work of the Permanent Forum to voice the views and concerns of youth. Through their involvement they can help shape the advice the Permanent Forum gives to UN Agencies, Funds and Programmes, particularly those concerning indigenous youth. This engagement will push for indigenous-related policies to reach the local level and create change in the lives of people. But I would also like to emphasize that we would encourage indigenous youth to bring their voices to the United Nations beyond the Permanent Forum. Indigenous youth should also participate in other UN platforms, like the Economic and Social Council’s Youth Forum, and in functional commissions and the processes related to the implementation and follow up and review of the Sustainable Development Goals, SDGs. In this context, I would also like to highlight SDG 3 on ensuring healthy lives and well-being for all also refers to the mental health and well-being. Indeed, indigenous young people are already taking action to combat these challenges and improve the situation of their peers in their communities. 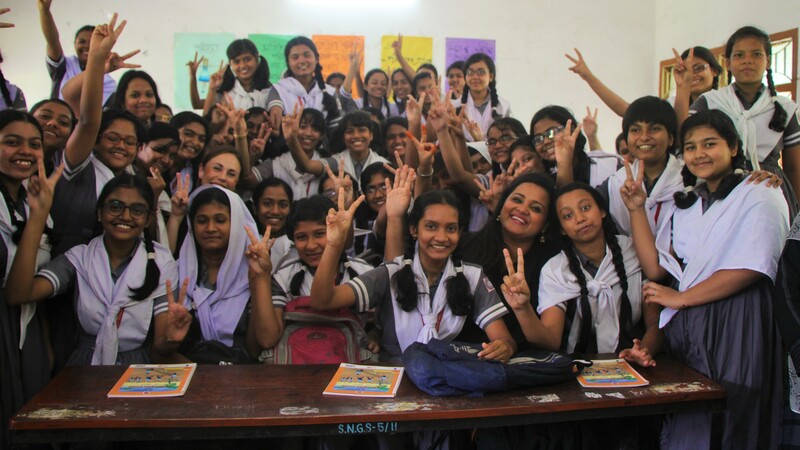 For instance, some indigenous youth in Asia and the Pacific are finding that their impact is greatest when they exchange ideas with other indigenous communities and have launched Leadership Training Workshops. Likewise, in Mexico, young indigenous women are organizing yearly forums around topics such as rights to land and resources and sexual and reproductive health and rights, to share tactics and strategies to advocate for rights at the community level. 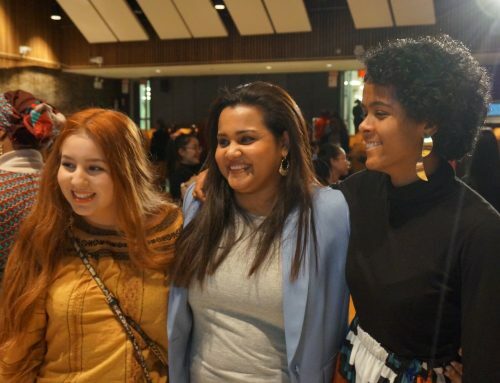 These initiatives are proof of the strength and power of indigenous youth in tackling issues that affect those most vulnerable. From this podium today, I pledge to work closely with the Indigenous Youth Caucus to mobilize the efforts of indigenous young people who are combatting climate change, building peace, fighting poverty and inequalities world-wide. I thank you for the opportunity to address you today and look forward to fruitful exchanges.